Video is a much more powerful means of communication than documents or plain audio. On-demand video can be used to deliver access to in-house video training material, product showcases, event recordings, company announcements and briefings, safety information, marketing clips and on many other cases. BIZstream on-demand solution lets you manage publishing of on-demand content for interactive or digital signage applications. IPTV solutions to deliver live TV content in a corporate or public area environment. Use your network to cost effectively deliver live streams to public display monitors, desktop and laptop PCs or even mobile devices. Create live IPTV channels from broadcast TV stations, live cameras or even recorded content playlists. 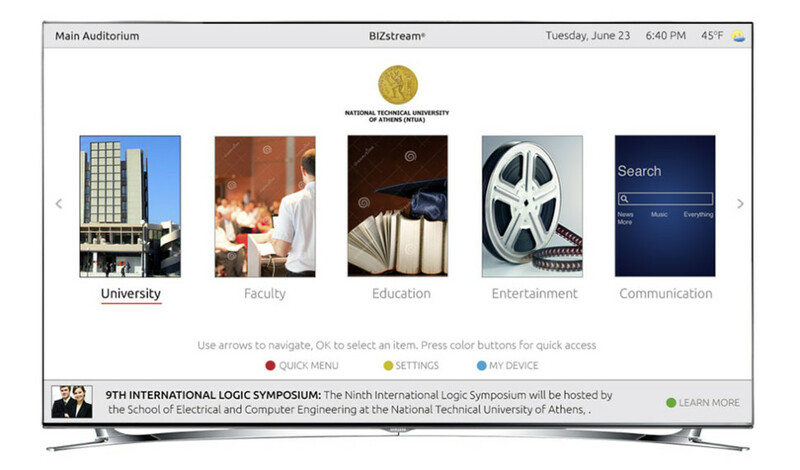 BIZstream IPTV comes with a middleware product that includes a smart UI that allows your users to enjoy a rich interactive experience with access to information, on-demand videos, event calendars, maps etc. Use public displays to deliver visually engaging communication to your target audience whether they are employees at your company, customers or visitors. Multi-purpose digital signage portfolio covering solutions for: entertainment, announcements, marketing, educational, way finding, event schedules, transport and directional information. Create presentations using live HD video, images, scrolling marquees, real time data information, maps and other rich media content. 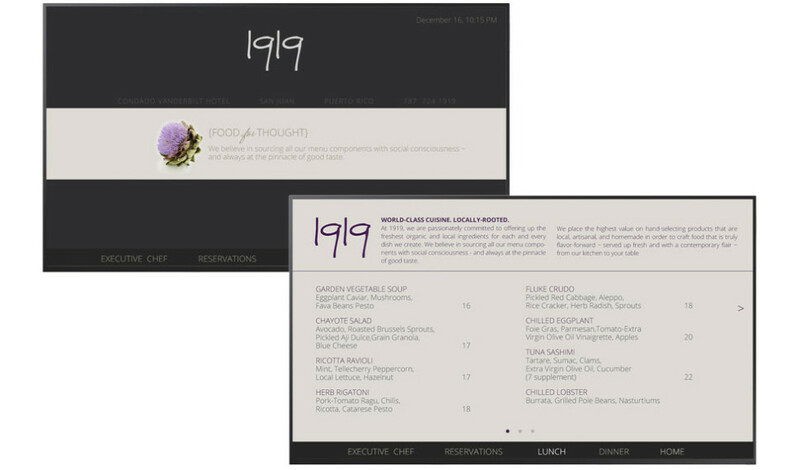 Choose from a selection of predefined templates or let us create a tailor made design for you. Take all the benefits of BIZstream IPTV, On-demand and Signage solutions and deliver them to users on the go. Your audience no longer needs to stand in front of a TV, public display monitor or sit at a desktop PC to experience content from a BIZstream system. You can now use mobile devices to extend you reach. BIZstream mobile solutions cater to both in-house supplied mobile devices or users own mobile devices. BIZstream OMS ensures an intuitive display and content management. 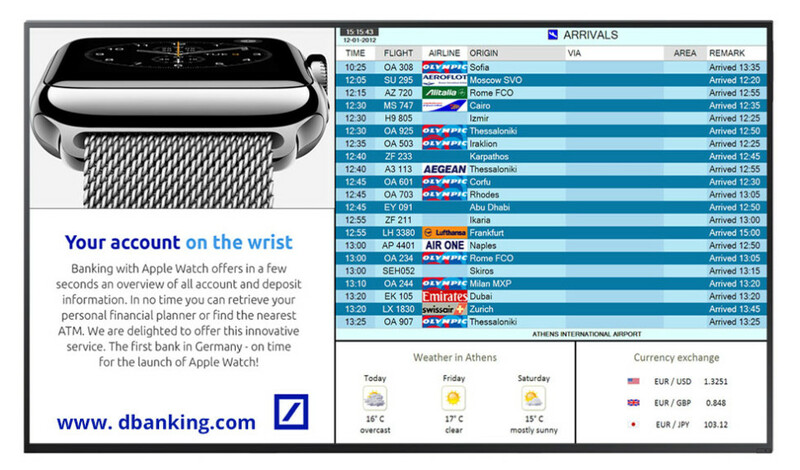 Displays can be grouped or addressed individually, helping you plan and design the presentation of content across the screens in your network. Create content from ready-made templates or design your own. Choose content freely from videos, images, text, RSS feeds, flash, presentation, live channels etc. It also manages live video channels and on-demand content. Role-based access permissions allow your staff to selectively make changes to content or schedules.